When I arrive in Glasgow on a late Wednesday morning, the weather is fine. Hey I didn’t come here for the sun (there is none)! Although on my first day, it’s none of that Scottish “dreich” (Scots word for the wet, cold, gloomy weather) that I hear so much about. Yes it was cloudy but no rain yet and not too cold. Upon my arrival at the airport, I opt for the bus and metro instead of a taxi. It turned out to be relatively easy and their metro is so cute – clean and quaint – to this New Yorker! I am staying at the Amadeus Guest House for the night. It’s quite lovely and just what I need. Once I drop my things, wash my face, change clothes and generally feel like a human being again, I am starved! So I walk around the corner to a café that has excellent coffee. For the next hour and a half I sit eating soup and a sandwich while perusing my guide book and listening in on a gaggle of teenage girls at the table in front of me. Teenagers are universally bubbly, giggly, and silly no matter what country you’re in! So much of my trip is planned that my first day in Glasgow is completely unplanned. I wander around and get a feel for the West End. The neighborhood is considered hip and cool with plenty of shops and restaurants. It’s a good place to base yourself and you may run into an Outlander actor (more on that later)! 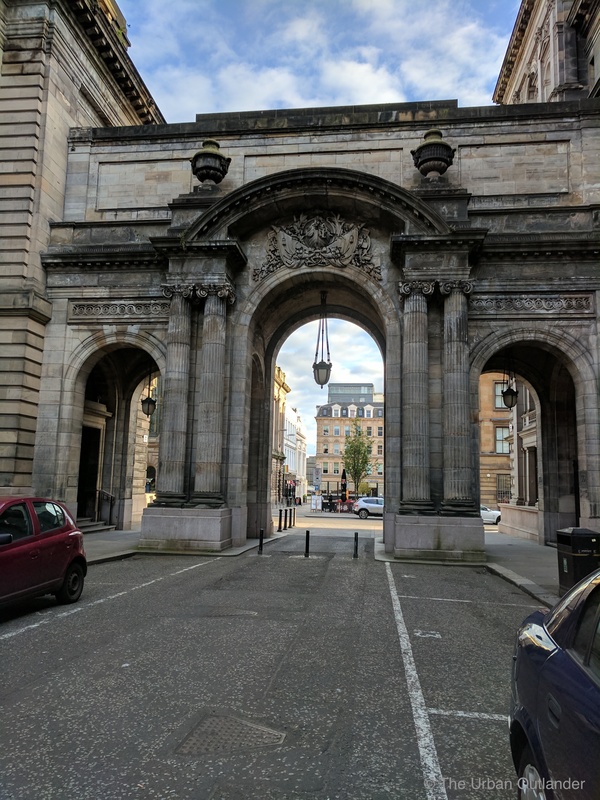 I visited the Kelvingrove Museum, went out of my way to visit a well-known pub called the Horseshoe in City Centre (not totally worth it), and decided to make my first Outlander pilgrimage to George Square! The location is where Frank proposes to Claire in the beginning of “The Wedding” episode in Season 1. 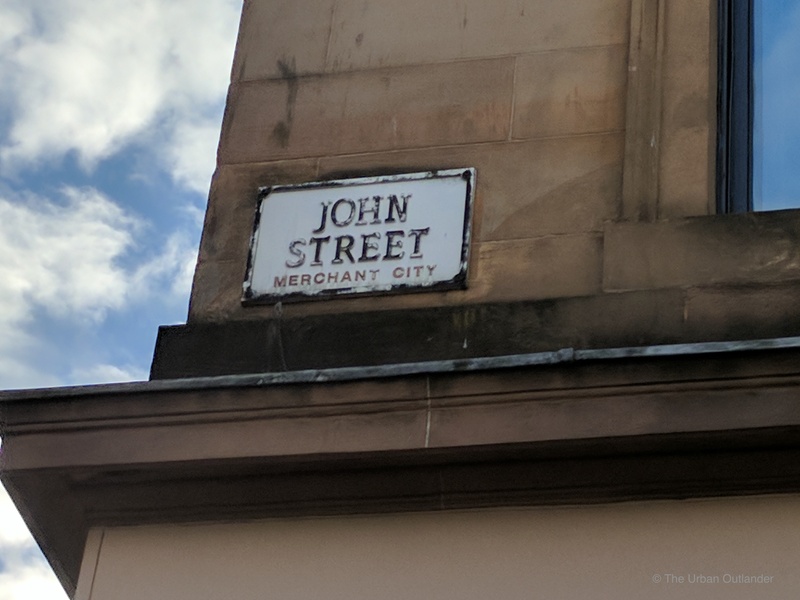 For anyone who wants to visit this location, be forewarned that it’s always referred to as George Square online but it’s not literally there. If you walk to George Square it’s just that – a square and a large one at that. 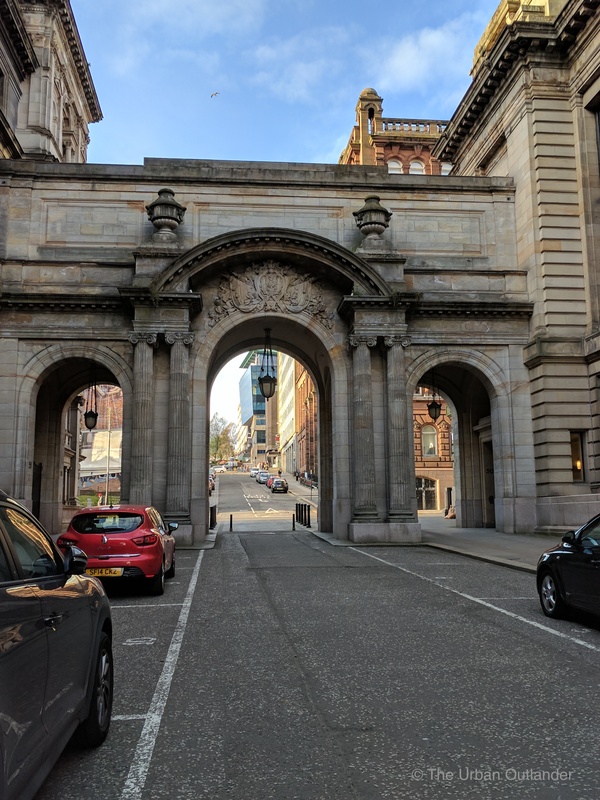 With a little help from Google Satellite, I discover where exactly they shot that scene and it’s right around the corner (the vision of the arches helped me pin-point). I am pretty excited, I’m not gonna lie! It may be a small scene but I have the hots for Tobias Menzies…I digress. It’s my first Outlander location! Huzzah! With a feeling of accomplishment, I walk back to my B&B. Along the way, I notice a place under the bridge going over the Kelvin River. No not a place for trolls but for craft beer called the Inn Deep. It looks really cool although I don’t stop by but I suggest you do. The atmosphere is hip, lively and online I see a pic of macaroni & cheese covered nachos that looks ridiculous. Scottish people are quite nice! At least the kid at the Vodafone store was. Wasn’t really impressed with the Horseshoe Pub in City Centre but I didn’t go with a local so that could have changed my experience. Kelvingrove Art Museum is a mish-mosh of different art exhibitions. 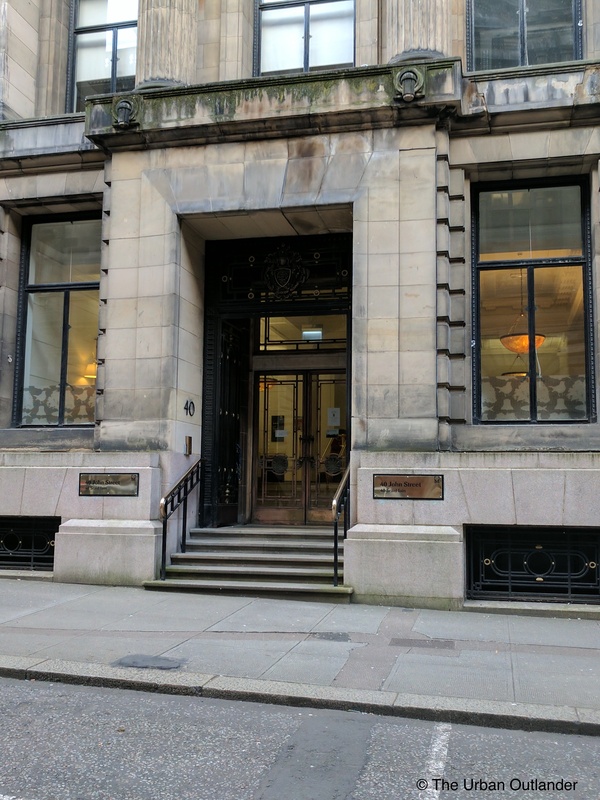 While I was there, they had an exhibit on Scottish male painters known as the Glasgow Boys, an exhibit of comic book art, but the museum is also known for it’s Dalí painting of Christ of St. John on the Cross. There’s no real cohesion to the exhibitions but admission is free so pop in and at least take a pic of their beautiful interior architecture. Stay tuned for Day 2 when I go to Inverness and visit the Highland Folk Museum where they filmed “The Rent” episode from Season 1!